OnePlus 6T was scheduled to officially launch on October 30th in cities such as New York and New Delhi simultaneously. With everything set for October 30th, a twist happened yesterday when Apple announced the same date i.e. Oct 30 for their next launch event which unsettled OnePlus plans for OnePlus 6T and forced them to reconsider on launching OnePlus 6T on same day as that of an Apple event which usually overshadows every major tech event on that day. 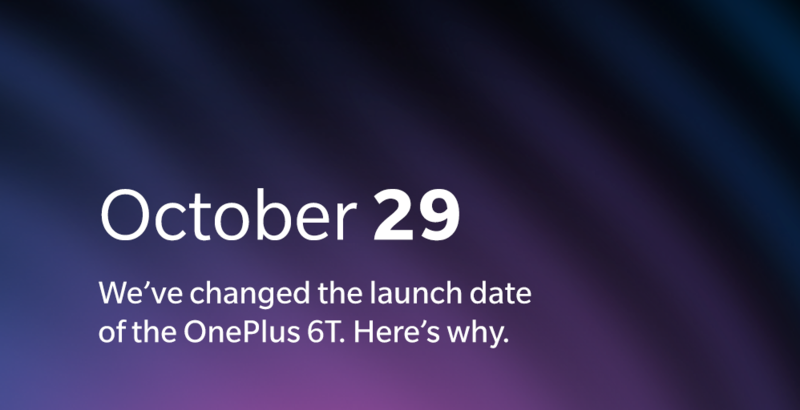 OnePlus has finally announced a change in their launch date by preponing it by one day which means that the new launch date is now October 29th for the event in New York. At the moment, we are not sure if this change applies to the New Delhi event too as they were on the same day and same time. In our opinion, the New Delhi event too may be preponed by one day, but we should wait for the official confirmation. OnePlus has released a detailed statement about this change of launch date with an honest explanation. We are just quoting a very brief part of that below, but you can read the forum post for more details. So after deep reflection, we have decided to move the OnePlus 6T Launch Event in New York City to October 29. OnePlus 6T is rumoured to feature a 6.41 inches OLED panel with a water drop display with a Full HD+ screen resolution of 2340 x 1080 pixels. The flagship device comes with an in-display fingerprint scanner and is powered by Qualcomm Snapdragon 845 processor along with two variants of RAM i.e. 6GB and 8GB. Along with RAM variants, we can expect three storage variants of 64GB / 128GB & 256GB, but we are not so sure. It is rumoured to be backed by a 3,700 mAh battery, which is about 400mAh higher than the OnePlus 6, an excuse which OnePlus used to ditch the headphone jack. 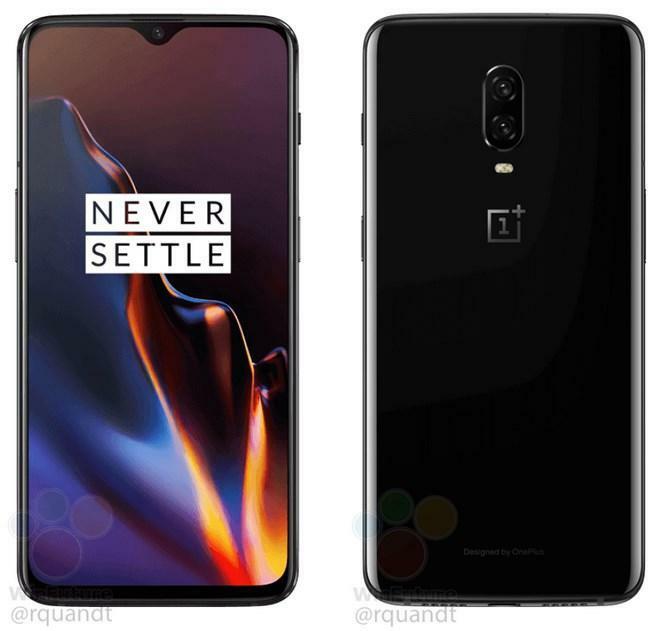 In terms of camera, it is expected to feature a 16MP + 20MP dual-camera module on the rear panel similar to that of its predecessor OnePlus 6. The company has indicated that waterproofing capability similar to its predecessor. OnePlus 6T rumoured price start at Rs. 37,999 for the 6GB RAM variant with 128GB of storage. There is an 8GB RAM variant which will cost Rs. 40,999. A 256GB storage variant exists, with 8GB of RAM, which will reportedly retail for Rs. 44,999. Expect the global prices to be about $20-30 more than the OnePlus 6’s.